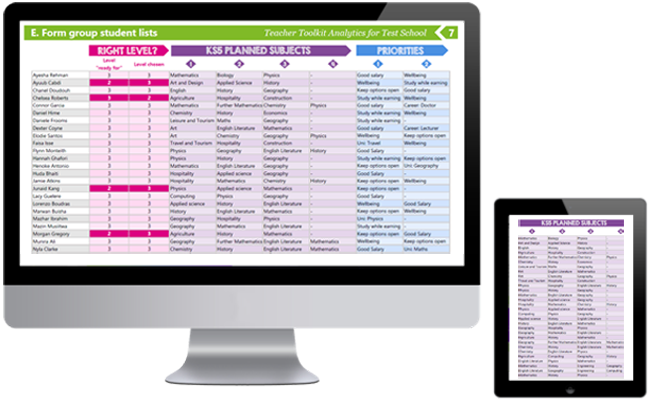 You will receive a graphical analysis of your students' use of Skills Route PLAN is provided at class, year group or school level. In addition to the BRONZE summary analytics, you will receive a breakdown of your individual students' responses on Skills Route PLAN. 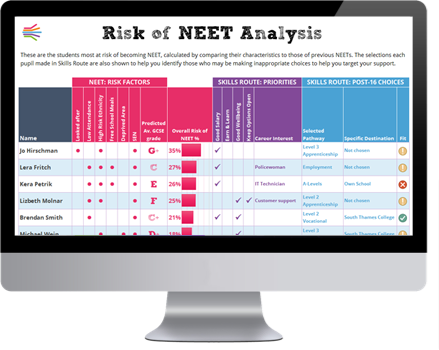 In addition to the BRONZE and SILVER analytics you will receive a report highlighting individual students at the greatest risk of becoming NEET. We hope you find the analytics useful. 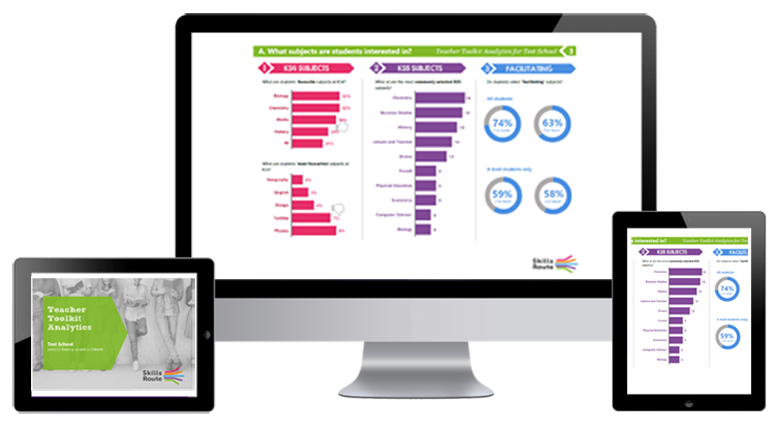 We would welcome any feedback on the report - please send it to info@skillsroute.com. If you would like more information on the Teacher Toolkit, including seeing the full reports that would be available, please drop us a line on info@skillsroute.com or 0208 099 4240.